Frederick Turner’s Blog » Modernism: Cure or Disease? Donald Kuspit’s The Cult of the Avant-Garde Artist purports to trace the therapeutic mission of modern art through its rise and decline into postmodern decadence. The problems he rightly finds in such artists as Warhol and Koons, however, may be endemic to modernism itself: the diagnosis of bourgeois society as sick and in need of cure. The cure may be worse than the disease. What modernists call kitsch may in many cases be a healthy tragic view of life. Modernist metaphysics teach the need for unmediated sensory experience and the inauthenticity of reproduction and representation; contemporary science shows these ideas to be without foundation. The way may be open for a humbler and more effective role for the artist. Donald Kuspit has in his book The Cult of the Avant-Garde Artist (Cambridge: Cambridge University Press, 1993) taken a new step in a distinguished career of art criticism by epitomizing the development of modern and postmodern art in one grand–and sad–trajectory. Not that this is merely a scholarly textbook listing a succession of styles and schools; it is an impassioned polemic, with a salient central theme–the therapeutic role of modern art and its postmodern betrayal–one that is as significant for what it leaves out as for what it includes. The clear signposting, mapping and labeling of the artistic terrain, and the vigorous statement of the issues, make this book both a useful service to the reader, and also, like any piece of advocacy, something to be taken with a dose of skepticism. Kuspit argues that the great project of modern art was to diagnose, and cure, the sickness unto death of modern humankind. He uses the philosophers Alfred North Whitehead and Friedrich Nietzsche, and the psychologists Erich Fromm and D. W. Winnicott, to outline what he deems the mission of art. Kierkegaard might have served Kuspit’s purposes just as well, or better; Kuspit’s austere and unsparing insistence on sincerity and authenticity is much in the spirit of the great Danish existentialist. The artistic mission of modernism, as Kuspit describes it, is to identify in us and strip away the false self of routine experience and interpretive framing provided to us by conformist mass commercial society, and to make us experience nakedly and anew the immediacy of reality through our peeled and rejuvenated senses. This therapeutic work is also a spiritual mission, in that a community of such transformed human beings would in theory be able to construct a better kind of society. The enemies of this process are cooptation, commercial exploitation and reproduction, and popular kitsch. Kuspit identifies six major strategies by which artists in our century set about to confront this challenge, and selects paradigmatic artists to represent each one. The first strategy is the distortion of visual reality, the presentation of a provocative object designed to undermine and unhinge the viewer’s visual preconceptions. Kuspit’s major examples are Picasso, Duchamp, and Braque. The second strategy is to substitute for the seducing and corrupting world of sensory objects a pure and perfect world of rational geometry, releasing us from our bonds to the external and the expected and initiating us into a higher reality of spiritual abstraction. Kuspit cites Mondrian and Malevich as exemplars: Mondrian in a playful and liberating mode, Malevich in a prophetic and dictatorial one. The third strategy is the expressionist one: the liberation of the ego from the tragedy of life by the creation of another world of truer emotional feeling. Oddly, the only artist Kuspit cites in any depth as a fully qualifying example is Kandinsky. He lumps surrealism, including Dali and Breton, into this category, but the schema feels a little strained here. The fourth strategy, incarnate in Andy Warhol, is in Kuspit’s view a betrayal of the whole modernist mission. It is to use the prestige of the avant garde artist to soothe and flatter the audience, by showing them that the artist is no different from them in desiring their fifteen minutes of fame; a psychically empty narcissistic artist supports by the prestige of his fame the fragile and hollow egos of his narcissistic audience. By buying or being seen appreciating his works, they shine with his reflected glory. The fifth strategy is what Kuspit calls the artist’s last stand, exemplified in Joseph Beuys: it is to cleanse the irredeemably compromised moral history of society by a reversion to barbarism, magic, and irrational shamanism. The sixth and final strategy, ushered in by Warhol, is where the full apocalyptic ire of this book finds its chosen target: to reproduce, with an ironic epigonism, the gesture of the great avant-garde genius, but in a reduced and parodic mode. Kuspit has no lack of victims in this category: Morris, Koons, Levine, Bidlo, Kiefer, Schnabel, Mapplethorpe, and others. The Cult of the Avant-Garde Artist is in some real senses a tragic book, written by a tragic intellectual hero. He is so precisely because he denies, with admirable stubbornness, as do all such heroes, the essentially tragic nature of life. Unlike Edgar in King Lear, who bends with the storm and transforms himself into Poor Tom the madman (and is thus able later to don the armor of the avenging angel of justice), Kuspit defies, Learlike, the terrible consequences his own chosen worldview has brought about. The great age of the art he loves is past, and he wanders the ruins, plagued with inner sight–perhaps the blinded Oedipus is a better metaphor. What he loves about the the great modernists is their rejection of tragedy. This is indeed both the defining characteristic of modernism and its paradoxically tragic flaw. Bertold Brecht saw it clearly: the chief enemy of his ideal communist society, of his socialist New Man, was the empathy and identification, the desire for a happy ending and its pleasingly exhausting refusal, the acceptance of suffering and imperfection, that constitutes the drama of tragedy. The Verfremdungseffekt he devised in his drama is surely the equivalent of those strategies of abstraction and distortion by which, as Kuspit shows, modernist painters sought to alienate the sympathies of their viewers from the lachrymose sentimentality of bourgeois perception. But the world has chosen against Brecht’s vision, and it is only a matter of time before it chooses against the puritanism of avant garde art; it has chosen instead the tragic view of life. It is thus no longer a modernist world. But why should the world have chosen the tragic vision–if only with its feet? The answer is another paradox: the tragic vision is the only realistic form of true optimism, and the only sound basis for hope and progress. The anguish of tragedy can only come from gigantic loss and waste. Such loss presupposes that there is something supremely valuable and dear to be lost; a worthless and trivial world cannot contain anything whose loss would be worth mourning. The world must then be meaningful, or at least productive of meaning. But if the world can supply, create, or grow objects or persons with such supreme value that their loss is tragic, then the world can do it again; tragedy is at base a triumphant assertion of our universe’s power to generate springtimes and children, hostages whose loss would be the cause of infinite suffering. Tragedy affirms something even darker, even more splendid, more terrible: the ability of at least some human beings to suffer adequately, to give the accurate emotional response, to such loss. This ability is godlike; may we be protected from having to exercise it! But if one’s preparedness to act and to suffer is robust enough, there is an exhilaration in this view of life. Remarkably, it is the basic approach of the world’s middle class, so despised by the artists: to choose the kitschy optimism of affirming ordinary life and work; to risk economic disaster by private enterprise and investment; to risk emotional damage by the commitment to marriage; to risk the destruction of one’s whole world by having children, the ultimate hostages to time and reality. Collectively the accepted risk is that the expanding capitalist economy, always breaking new ground, always unprecedented, may collapse again as it did in the Great Depression; that our technology will tip some crucial and catastrophic balance in the ecosystem; that we will blow ourselves up in a nuclear conflict; that we will simply run out of raw materials and ideas; that the dynamics of an expanding free society will prove radically unstable and collapse into social chaos and internecine strife; that our new technological lifestyle will be incompatible with our primate psychology, and we will all go mad. Yet the world of non-artists and non-intellectuals has chosen this future, chosen the optimism of having such a future. The reason so many societies with planned economies, socialist or communist, finally collapsed, was that people no longer believed in the project of eliminating tragedy from the world; and the reason they no longer believed in eliminating tragedy was that a world without tragedy turned out to be a world without value. This is not to say that the Zeitgeist has given up on progress. The only people who have given up on progress, as Kuspit shows, are the avant-gardes. The Zeitgeist wants everybody to be rich, but is willing to bet that if we are all comfortably off, we will not simply vegetate, but will be driven by boredom both to new achievements and to new sufferings and misfortunes. The Zeitgeist knows now that we will never cease to be quite capable of making tragedies for ourselves, out of the very conditions of mortal existence–death, time, individuality, unequal gifts, our need to kill other living organisms to stay alive, the eternal dispute between the lower, more archaic aspects of our embodied mind, and its higher, more evolutionarily recent ones. And the Zeitgeist is not snobbish, does not disdain to recycle old cultural patterns, Classical, Medieval, Renaissance, Enlightenment, Romantic. It has no fear of kitsch. Kuspit’s discerning analysis reveals almost unconsciously how timid, how shamingly, shudderingly fastidious contemporary avant-garde artists have become about the possibility of imputing to them the remotest hint of the failure to recognize kitsch, or of the naive enjoyment of it. In the real world kitsch has triumphed; and it returns transvalued, in what I would maintain is the brawlingly healthy new art of the popular imagination, the art of the always-emerging technological economy. What Marx calls bourgeois false consciousness has, like the humble mammals of the Cretaceous, survived the extinction of the grand dinosaurs of revolutionary honor and existential authenticity. In his despair Kuspit, turning against the enthusiasm of a lifetime’s advocacy of modernity, seems on page 109 to give grudging admission of the claim of the classical to artistic legitimacy. But his distrust of bourgeois capitalist society is so deep that he cannot see the profoundly healthful new springs of inspiration that might be beginning to flow within it, inspiration that has discounted the fear of kitsch and has thus discovered a new innocence, a new classicism. How Accurate Was the Avant-Garde Diagnosis? Perhaps the fundamental principle of modern art as Kuspit discerns it, the healing of a sick bourgeois culture by a spiritual and intellectual artistic elite, is profoundly misguided and misconceived. What if the modernist diagnosis were wrong all along? What if society was not sick, but just off its diet and in need of fresh air and exercise? Suppose it really needed to do more of what a healthy organism does–explore, feed itself, socialize, reproduce, and provide for a future–rather than taking to its bed and accepting the ministrations of its imperious and medically all-knowing artists? The therapeutic impulse, noble though it is, does not reliably vouch for the efficacy of its activities or the benefits of its results. We have had thousands of years during which the earnest efforts of physicians of the body and mind have arguably done more harm than good. According to the theory of the senses with which, as Kuspit tells it, modernism began, fresh raw experience–to which artists have an unmediated and childlike access–is routinized, compartmentalized, and dulled into insensibility by society. But this theory cannot stand up against the evidence of today’s neuroscience; thus his consequent division of the psyche into a true inner self and a false social self will not hold up, either. There is no unmediated human experience, and the more cerebrally interpreted an experience is, the greater its subjective concreteness. Dendritic fibers from higher cortical areas of the brain project all the way down to the most peripheral and apparently naked sensory neurons. Perception is not a one-way street from the sense organ to the brain, but a two-way feedback system with chaotically emergent structures of self-organization. The retina is part of the brain. Thus those artists who try to give us an unmediated and uninterpreted visual experience, as the Cubists sought to do according to Kuspit, are doomed to failure because the raw sense data is not raw, but “always already” dependent upon expectation. But postmodern believers in the social construction of reality, who dismiss physical reality as a political strategy and regard the world as passive before our interpretation of it, can get even less comfort from the new research. The brain is constructed by the world, especially by its own genetic and evolutionary past, and returns the favor only to the extent that it works as constructed. Those artists, like Duchamp, who disdain the retina, preferring the mind’s reality, are as misguided as the devotees of unmediated sensory experience; for the mind is as much the retina as any other part of the brain. We use the visual world’s own rational organization, via the retina, as part of our own mental hardware, and are genetically predisposed to do so. Abstraction, modernist theoreticians declared, was essentially superior to representation, because while a realist painter merely imitated what was before him, the abstractionist created another real object, with its own presence and being in the world, neither tied to a comparison with its model nor appealing to the bourgeois appetite for inauthentic sentimental reminiscence. Postmodernist artists took this idea a step further, arguing that representation was part of the whole late capitalist system of economic and cultural hegemony that had made genuine experience impossible. After all, they argued, the capitalist production system was based on the exact reproduction of identical objects, advertised to its alienated consumers by mass-produced images that commodified all the techniques of traditional representational art. “Pop” artists such as Warhol and Lichtenstein, recognizing that if they themselves were to become successful their images would in turn be reproduced and sold as part of the system, attempted to short out the vicious circle by preemptively adopting the coarsest and corniest of representational techniques–the advertisement, the cartoon, the package, the publicity photo. They then altered the resulting images by changes in scale or medium, appealing to bourgeois buyers through the depiction of familiar capitalist icons, but preserving their own artistic integrity by the use of abstraction to satirically undermine representational techniques and the socio-economic system they supported. It would be easy to pick on the lesser absurdities of this view of things. They include such problems as the implicit racism of assuming the unreflectiveness of “primitive” peoples, and the irony that the very word “nature” means reproduction: nature, in its superabundant cloning of seeds and cells, is better at mass production than any factory producing “inauthentic” identical objects. Other problems have already been noted: the association of Heideggerian notions of Being with Nazi ideology, and the dishonesty of using commercially vital images to sell avant-garde anticommercial ideas. But there is a much deeper and more interesting mistake: the assumption that real objects, unlike human minds, don’t represent, don’t imitate, don’t make pictures or maps of each other. The old Cartesian lines begin to appear: nature is unreflective, only human beings reflect. Nature is innocent, humanity compromised. Nature is passive, people meddle. Nature is abstract, human beings represent. Four legs good, two legs bad. The truth is that nature is itself reflective, compromised, self-meddling, representational. With all our representational games and strategies of signification, we are part of nature, even its most quintessential part, containing nature’s own deepest tendencies in their most concentrated form. Thus the most real and authentic art is the most realist, representational art, and it is only when artists take up the challenge and responsibility of representation that they are fulfilling the highest aesthetic goals. The modernist fallacy, paradoxically, was based upon reasoning that came originally from the philosophy of science. For centuries material determinists have insisted on the deadness, the absence of internal spontaneous process, self-awareness, and self-motivation, in the fundamental matter of the universe. The reason philosophers of the Enlightenment insisted on the inert passivity of material nature was to concede to God a necessary role in giving it all life and animation, so that the divine would not be superfluous. Not daring to see God as immanent in the universe, and preferring to have Him outside it where He could, so to speak, be kept an eye on, they tried to make physicality as incomplete as possible in respect of all the properties attributed to soul–consciousness, reflectiveness, initiative, originality–so that He would still have something important to do. Somehow the fact that matter has properties never seemed to them to be a problem. That is, particles, atoms, and molecules are not totally transparent; they interrupt the forces that encounter them in such a way as to make them perceptible to humans and other animals. Light must be broken, scattered, transformed, absorbed, refracted, for us to see things at all: and it is only what is seeable–perceptible, in more general terms–that can be of any concern to science. If matter had no internal process, light would come to us utterly unaltered by the matter it had encountered, and thus the matter would be invisible. Further, it is only where matter resists the complete logical explication of its internal process, where it interrupts the linear flow of rational consequence and we are forced to establish a constant, a given, that we have any fixed point that might justify a claim for its actual existence. It is the irreducibilty of the fundamental constants–the speed of light, the gravitational constant, the electron volt constant, Planck’s constant, pi–their darkness and opacity to any further reductive explanation, their idiosyncratic characterization of the fundamental relations of physical reality–that gives them their foundational role in our understanding of reality. As we now know, simply taking up space is a complex performance for matter, and its other qualities–mass, charge, parity, and so on–are the maintained achievements of its internal process. The processes by which matter communicates externally–chemical bonds, electromagnetic radiation, gravitation, etcetera–are more remarkable still, of course. Crystals, plants, animals, we ourselves, are the emergent forms that such communication makes possible. The universe postulated by the material determinists, lacking that mysterious inner negotiation and external sensitivity that makes matter observable, would be completely invisible–and of course untouchable, unsmellable, inaudible, and tasteless as well. Since science relies essentially on observation, science would be impossible in such a universe. It is only to the extent that the universe and the things in it have some kind of inner metabolism and outer sociability–only, that is, to the extent to which they are alive–that they can be said to be at all. Being is not given, but the achievement of the universe’s continuous originating inventiveness, its life and growth. A large part of the aliveness, the internal reflexivity and external communicativeness, of ordinary matter is necessarily devoted to making and displaying more or less crude internal representations of the rest of the universe. Butterfly chrysalises often combine two or three levels of representation, aimed at various possible predators: the appearance of a dead leaf for the stupidest ones, an iridescent spot of color denoting poison for the cleverer ones that have spotted the disguise–and sometimes the imitation of a chrysalis of a truly poisonous butterfly, saving the metabolic expense of manufacturing real poison. Vines pestered with butterflies will grow leaves that look like butterflies, on the correct theory that butterflies will not lay eggs on what they think are fellow-butterflies. But these are simple forms of representation and imitation compared to what one finds among higher animals. The greylag goose expresses its love for its mate by pointedly making a mimed attack on an absent, counterfactual goose, in a “triumph ceremony” that is a fine analogy of human theater. The male blue satin bowerbird’s bower is not a real nest but a magnificent advertisement to the female of how good his nest-building genes are. But the need to represent and depict goes all the way down to the most primitive entities in the universe. An atom must find ways of translating the impact of incoming energy into terms that it can absorb without flying apart (indeed, all the atoms that exist are the ones that didn’t fly apart). Atoms do this by adjusting the disposition of the electrons in the harmonic series of electron shells that makes up their outer skin; and they relieve the pressure of such impacts by giving off a photon of their own, whose unique signature can be picked up by a spectrograph. Those spectral emanations are in fact representations of their environment, in terms that are unique to the element that produces them. The designer and architect Jack Rees has suggested in a personal communication that it is no coincidence that the great physicists–Newton, Einstein, and so on–tended to make their discoveries in mechanics simultaneously with their discoveries in optics. Perhaps, he suggests, optics and mechanics are at base the same thing. That is, objects in the universe exist (have mechanical properties) only in and through the fact that they express themselves and experience the expressive activity of other objects (they see and are seen). All exchanges of information are conducted by the photons of light or by particles that can be translated into photons. And mechanical processes are fundamentally exchanges of information. Certainly the basic principle of all physical science is that it must be based on observation–that is, it assumes that an object has reality only to the extent that it is observable, even if indirectly. Scientific reality is observability. At the same time the only way that anything can be observed is by its effect on other things; thus for scientific reality we need not only a world of observable objects but also a world of observing objects, that is, objects that can register by their response the presence of other objects. Thus representation is a fundamental feature of reality, not just a superficial freak of civilized mimicry. The universe was only a “buzzing, booming confusion,” as William James put it, at the first moment of the Big Bang. Since then it has been painting and sculpting itself with greater and greater precision, evolving complex chemistry, plants, and animals to do it more effectively, and achieving thereby a denser and denser reality and concreteness, the more sensory modalities it has brought into play. Artistic modernism emerged at the end of a long Victorian period of relative peace in the developed world. Immediately after modernism appeared, the First World War, the Russian Revolution, the Great Depression, the Gulag, the Holocaust, the Second World War, and the nuclear arms race followed in quick succession. Perhaps the century would have been even worse without the modern arts. But it is at least conceivable that modernism, like the other great ideologies of our century, was an attempt to cure a non-disease: the human situation, with its inevitable tragic dimension. If so, the implication for art is a humbler one than the healing Kuspit favors. Humility is not such a bad thing. Kuspit shows unflinchingly the arrogance and megalomania of the modernist and postmodernist avant gardes alike. Such arrogance cuts one off from certain experiences, blinds one to the solid virtues of the objects of one’s snobbery, leads one to ignore sciences and perspectives whose origins cannot be traced to one’s own viewpoint. Artists may not only be happier, but capable of greater achievement if they choose for themselves the old role of servant rather than unelected mental health director, amateur surgeon, scourge of the middle classes, fire-and-brimstone preacher, or puritan iconoclast. Kuspit’s invectives against the postmodern artists he discusses may or may not be deserved; perhaps the problem with the Warhols and Koonses and Schnabels is not that they seek to please a public, but that they adopt the gigantic and inhuman mask of the avant-garde artist, with its professions of superiority to hype and the base motivations of the marketplace, as their justification. Without that mask, they would be charming jokesters, harmless entrepreneurs, talented celebrities at best. 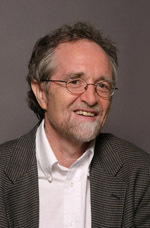 The poet Frederick Turner is Founders Professor of Arts and Humanities at the University of Texas at Dallas (Richardson, TX 75083; telephone and fax 972-437-2155). His most recent books include: Beauty: The Value of Values (University Press of Virginia, 1992); April Wind (University Press of Virginia, 1992; poetry); and The Culture of Hope: A New Birth of the Classical Spirit (The Free Press, 1995).